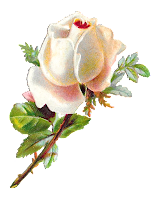 This is a lovely, white, shabby chic rose clipart download created from a little, Victorian paper scrap die cut. 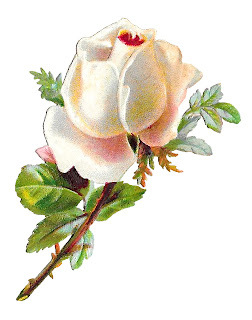 White and pink roses make the best rose images for crafting projects. This digital rose clipart is a single white rose flower on a long stem with pretty, green leaves.